DeMario returns on 'The Bachelorette' -- but Rachel Lindsay has a new villain to look out for! DeMario is back -- but not for long! 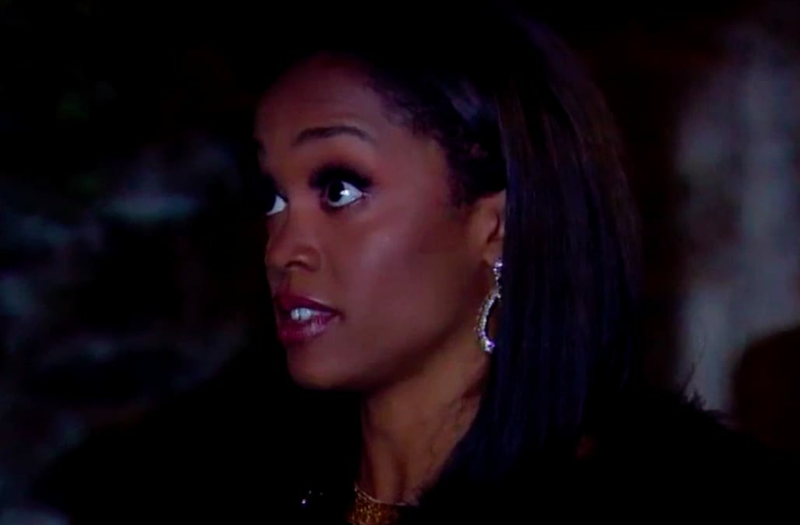 The 30-year-old executive recuiter made his grand return after Rachel Lindsay told him to "get the f**k out" on last week's episode of The Bachelorette -- and it was amazing. Rachel graciously gave DeMario a chance to explain himself after his ex-girlfriend Lexi crashed last week's group date, but unfortunately, it just wasn't good enough. "I need a man. I need someone who owns their mistakes. What I saw in the gym yesterday, that was a boy. I'm looking for a man, and I have some amazing men waiting for me," Rachel said. "I'm glad that this has been a life lesson. I hope that the pain that you've gotten from this gives you joy somewhere else. It's just not here right now. Thank you." So, DeMario left -- but it wasn't the most dramatic exit of the night. Lucas, aka Whaboom, and Blake E. were both eliminated after bringing their personal roommate/girlfriend/banana-eating drama to national television. "What up, Lucas? I just want to say f**k you bro!" Blake E. yelled while interrupting Whaboom's exit interview. The two then proceeded to throw insults at each other and complain about how they still have to see each other after the show because they both live in L.A.
Fred tried to kiss Rachel after their Ellen date and it was so awkward that she sent him home. "It was like a little boy was kissing me," Lindsay confessed. Bye! Miss Platinum Vagine made her second Bachelorette appearance of the season when she arrived with Jasmine, Raven and Alexis to help out on the mud wrestling group date. While Corinne was surprisingly quiet, Raven made use of her time on camera by finding a new villain for the season: Eric! IS '"OPPORTUNITIES FOR GROWTH" THE NEW "EMOTIONAL INTELLIGENCE?" That's what we're thinking, after the men confronted Eric for being shady, calling him out while also stroking his ego and telling him what to work on in the future. Despite the group date drama, Eric got the rose. But then he freaked the f**k out at the cocktail party, when he heard his name brought up to Rachel. (Craig Sjodin/ABC via Getty Images) BLAKE E.
(Craig Sjodin/ABC via Getty Images) BLAKE K.
If nothing else, Kenny deserves to make it to the end for his amazing one-liners, including the one above. The single dad epically whispers that winning line to Lee in the promo, which promises a tension-filled conversation about race -- and almost made us forget that this week's episode ended with another cliff hanger. Womp womp! The Bacheloretteairs Wednesdays at 8 p.m. ET/PT on ABC. RELATED: 'Bachelorette' Rachel Lindsay Shows Off Her 'New Summer 'Do' -- See the Dramatic Look! For more Bachelorette in your life, check out ET's YouTube series, Roses and Rosé.